Oakland City Councilman Abel Guillen is temporarily moving into a tiny home Tuesday to highlight a potential solution to student homelessness. 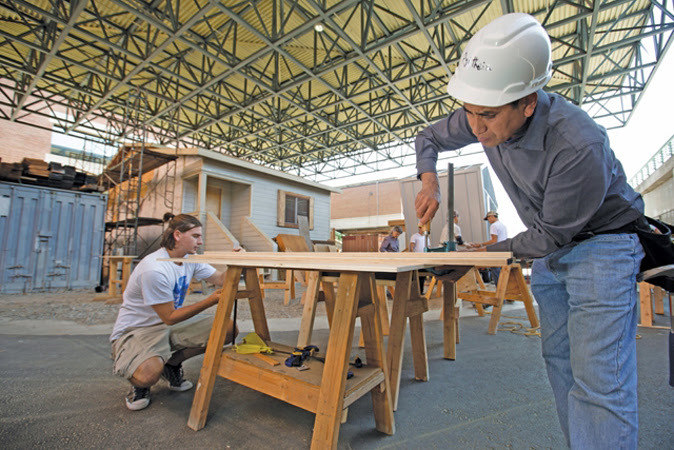 Guillen, who represents District 2, said he plans to spend two days occupying one of two 10-foot-long dwellings built by Laney College students with an $80,000 grant from Oakland. He said Laney College students, selected by application, will move into the homes later this week, probably for the duration of the academic year, after he moves out. "Before the students move into those homes, I thought if I'm going to be asking other people for live in these homes, I should try it out myself first to make sure it is a comfortable experience," Guillen said in a phone interview Monday. The two tiny homes are located on the parking lot of West Side Missionary Baptist Church in West Oakland. Guillen said each structure contains many of the features of a regular home, including a bed, shower, sink, toilet and hot plate for cooking. There's even a small patio. Guillen said the project is just a starting point for what he hopes will be a feasible, large-scale solution. 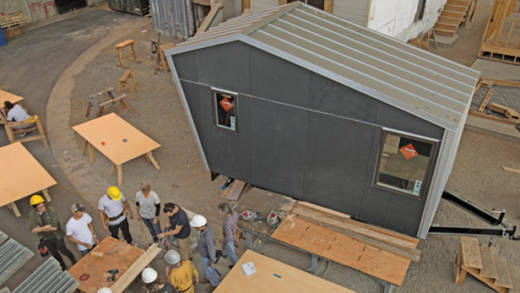 He hopes to scale up this model for affordable student housing by attracting funders interested in mass production. "We're hoping that this will raise awareness, particularly amongst the private sector and philanthropy to help fund these solutions," Guillen said. "We've received interest from potential funders. And so we're hoping to figure out how to scale up this program so that it really serves the needs of our students." Guillen said Oakland's community organizations, including its many churches, can also help. "If every church opened up their parking lots to one of these tiny homes, I think it would go a long way in supporting our homeless students," Guillen said. He said 14 percent of Laney’s student body report being homeless. Meanwhile, a December 2016 study reveals that one out of three community college students in California grapples with some form of housing insecurity, up to and including homelessness. Despite support from the city, Guillen's plan to house students in tiny homes may encounter difficulties. For one thing, Oakland's housing code currently does not allow mobile homes (under which tiny homes are categorized) to be primary residences. For another, some other attempts to build tiny home enclaves in Bay Area neighborhoods -- e.g., in San Jose, have been met with resistance.